Labels are used by both businesses and consumers for personal, professional and decorative purposes. While pre-printed labels can be bought for many tasks, custom labels let clients achieve the exact results that they have in mind. 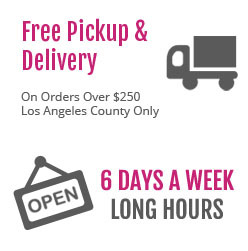 Our Los Angeles same day label printing services offer unique labels designed and produced on site for your convenience. After the design process is complete, our technicians can print labels in quantity using the materials and inks our clients choose. Here is more about our label printing services and the options clients can receive when they choose our shop. Virtually any setting can benefit from the right custom-printed labels. In industrial environments, labels can be used to inform or warn personnel about processes or equipment. Offices can be easily organized with labels that are useful for designating spots where equipment and materials belong. In retail establishments, labels can be used for pricing items in a way that appeals to the eye. Consumers can use our same day label printing in Los Angeles for numerous tasks, including decorations for birthdays or holidays, and for specifying where boxes should be taken during a move. Numerous options are included with our Los Angeles same day label printing services. From design to printing, every step of the label creation process is customized for the client. Our designers can incorporate previously created logos and trademarks, or they can develop all-new text and pictorials. With multiple options for materials and inks, our labels will have the look that clients want, while being able to withstand virtually any environment. 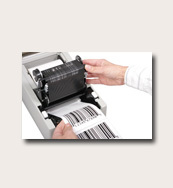 To meet a wide range of requirements, our shop can print labels in small batches or in larger runs. Compared to the cookie-cutter store-bought stickers, our custom-printed labels are useful for many more tasks and offer several advantages. The products of our same day label printing in Los Angeles are equally appropriate for decoration or utility per the specifications of clients. Stickers can also be valuable additions to marketing campaigns when used alongside our other products, such as posters and banners. Clients can visit our print shop, call us or contact us online to learn more about our services for same day printing in Los Angeles.